Valentine’s Day is always something I look forward to every year, not because I’m expecting flowers, or chocolates or a fancy dinner, but more so because I love the cuteness factor of the day. The red and pink theme. The hearts. The flowers. And the cute little treats you can make for the special people in your life. It’s just another day to spread a little love to those around you. 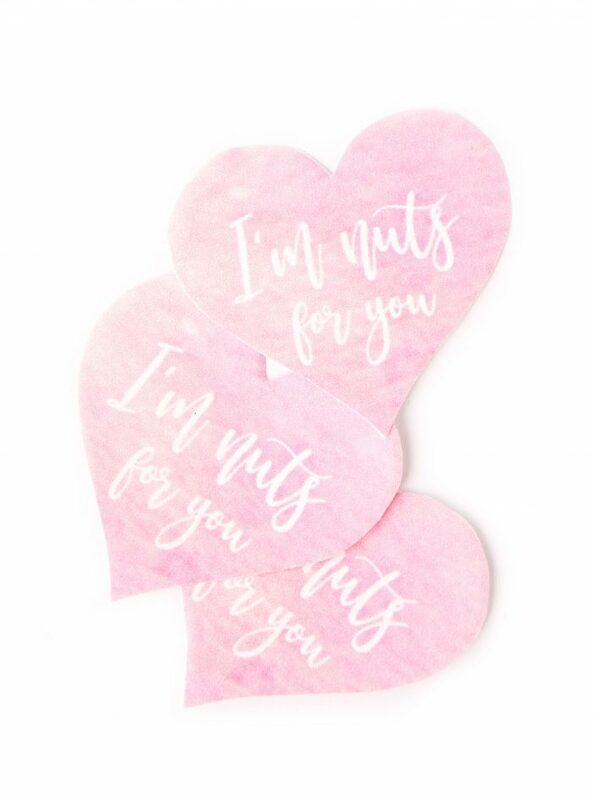 Now I totally don’t think it’s necessary to go out and buy a bunch of expensive gifts on Valentine’s Day, but a little heartfelt and thoughtful gift can go a long way. 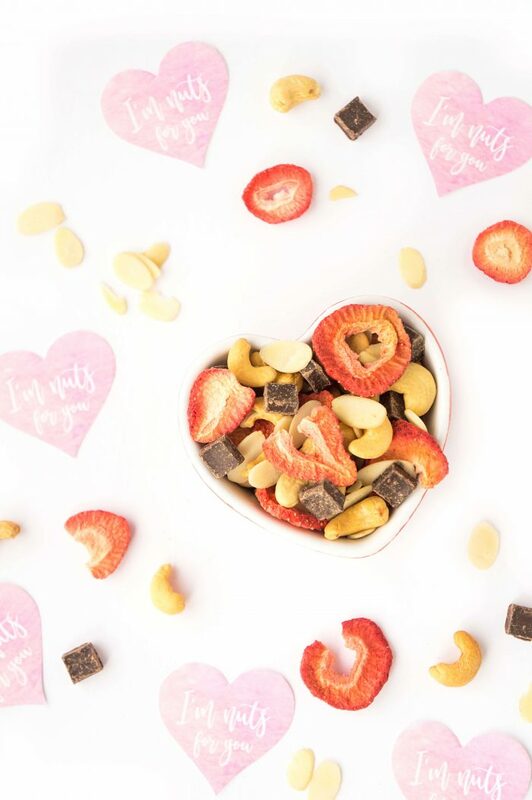 So this year, I came up with this this heart-healthy trail mix, which makes the perfect little edible gift that basically takes no time at all to put together. 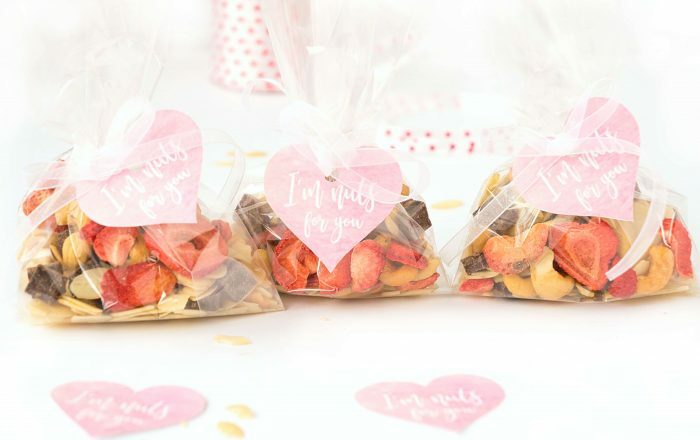 You can make up little bags of trail mix and give them to your friends and family. It’s even great for kids to give to their friends or teachers! There are a few reason why I love this Trail Mix. 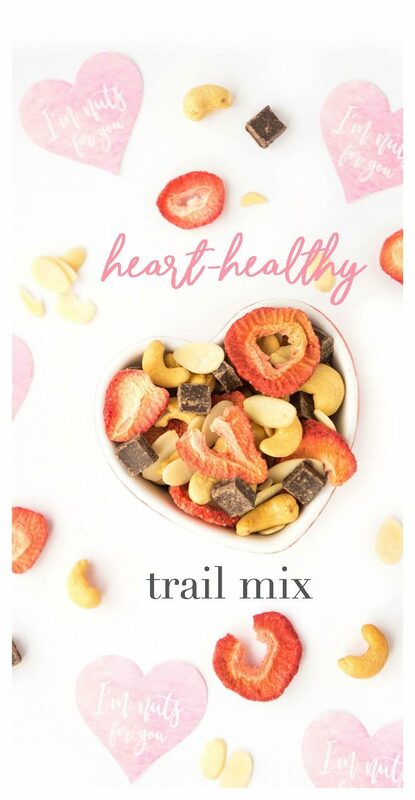 The amazing thing about this trail mix is that it only contains four SIMPLE ingredients. That’s it! 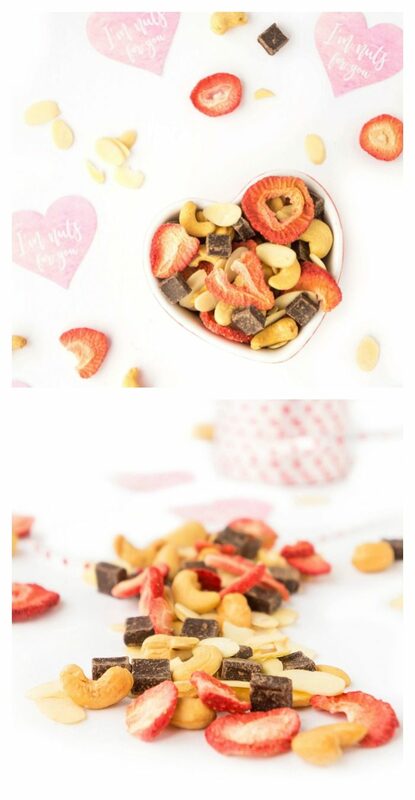 And it makes for such a colourful and flavourful trail mix with just the right amount of sweetness and crunch. I found freeze-dried strawberries at my local grocery store, but if you can’t find them there, you can always order them here or sub in another red dried fruit such as goji berries or dried cranberries. The great thing about the freeze-dried strawberries, however, is that it’s just that. Strawberries that have been freeze-dried so that they’re nice and crunchy and contain NO ADDED SUGAR. So many dried fruit out there contains heaps of added sugar, so that’s why I love subbing in the freeze-dried fruit. As an added bonus, the strawberries are also a good source of fibre, vitamin C and potassium. For the chocolate chunks, I used 70% dark chocolate, which can be a heart-healthy addition to your day since it can help manage blood pressure. In small doses, of course. You definitely wouldn’t want to go eating bags and bags of dark chocolate. Generally, about one ounce several times a week is a good rule of thumb for reaping some of those heart-healthy benefits. Next up, we have the unsalted cashews and sliced almonds which provide those heart-healthy monounsaturated fats. These can help lower the bad cholesterol and improve your good cholesterol levels. It makes for such a convenient and healthy on-the-go snack that also happens to be shelf-stable. 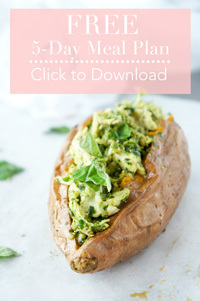 Perfect for when you’re in the car travelling, running errands or need a snack to nibble on at work. So far, this trail mix is sounding pretty good, right? 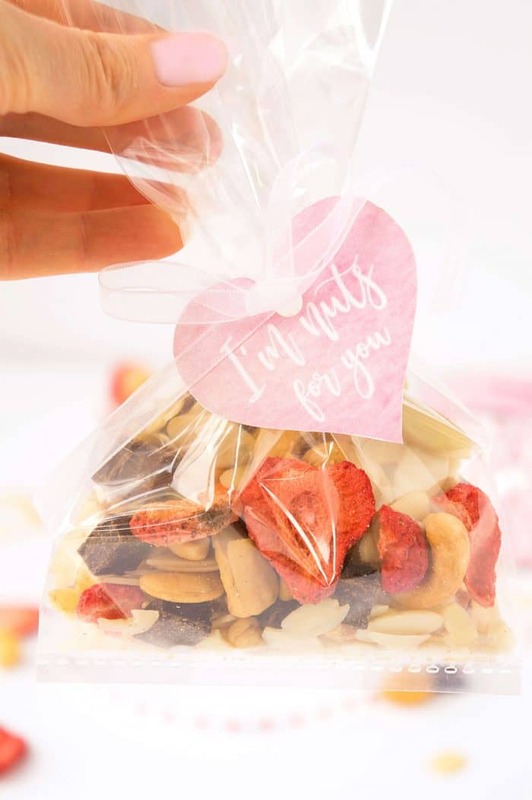 So if you REALLY want to impress those around you, you can transform this trail mix into cute little gift bags. Combine the ingredients for the trail mix in a large bowl. Get 8-10 cellophane treat bags and divide the trail mix equally between each bag. 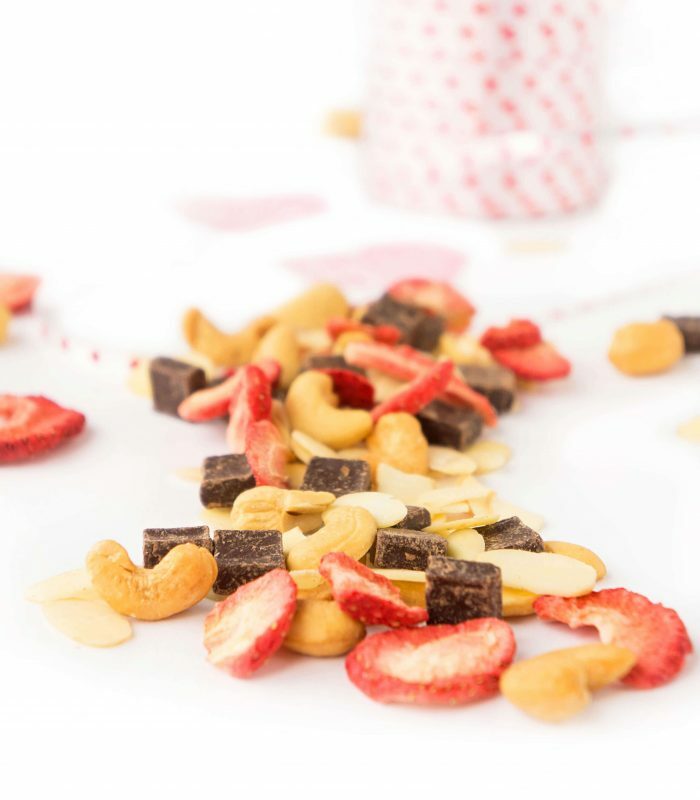 If you’d like to make more, simply double or triple the trail mix recipe. Get a pretty ribbon and tie it around the bag just above the trail mix to keep it all in place. I tied it in a knot first. Punch a hole at the top of each heart, leaving a bit of room between the text and the top of the heart. Carefully pull the ribbon that you tied around the cellophane bag through the hole and gently tie a bow. 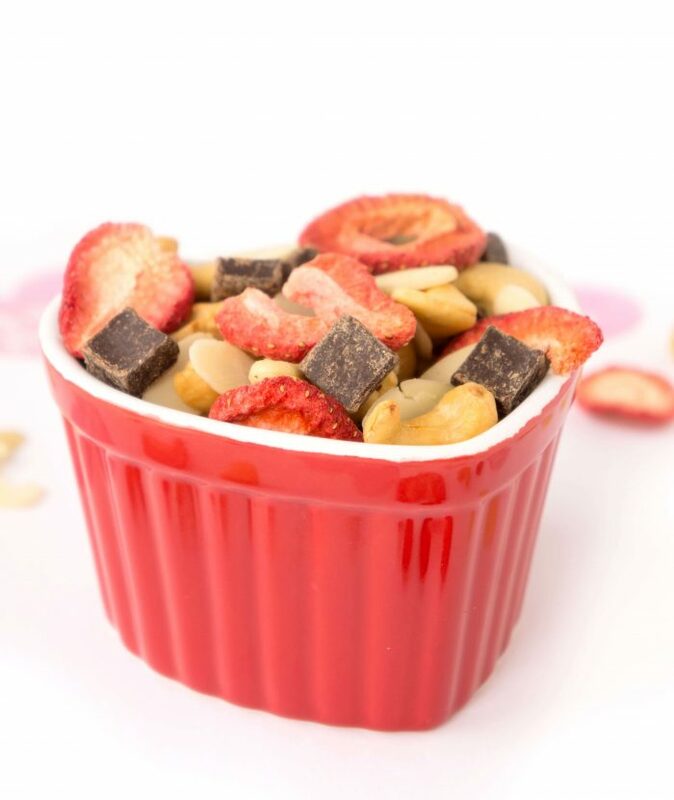 Combine all ingredients for the trail mix in a large bowl. 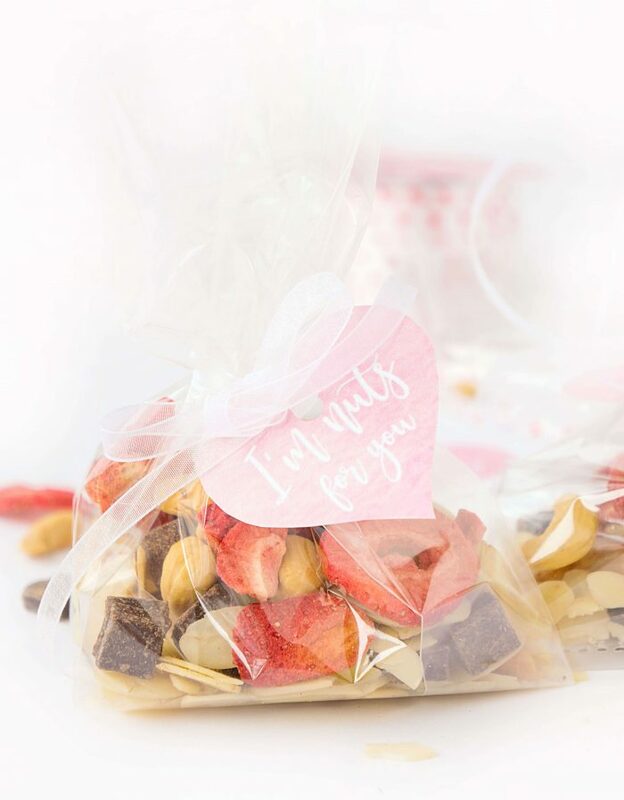 Store mixture in an air-tight container at room temperature or divide into bags to provide as gifts.